The Minsk agreements leave the top agenda of the Foreign Affairs Council for the first time in favour of reforms. 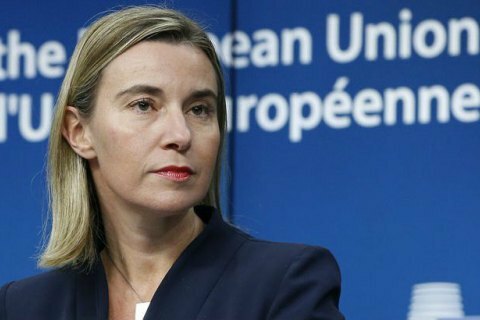 The EU’s High Representative for Foreign Affairs and Security Policy Federica Mogherini has welcomed Ukraine's "incredible work" on reforms and said that this work needs to continue. She stated this after the meeting of the Foreign Affairs Council in Brussels on 18 January. "We had a discussion on Ukraine, restating our full and united support to the implementation of the Minsk agreements, but focusing this time, maybe for the first time in this clear and focused way, not only and not so much on the Minsk implementation but on the reform process inside Ukraine and especially the reform of the judiciary, the reform of the public administration sector, the decentralization reforms and recognizing the incredible, outstanding work that the Ukrainian authorities have done over the past months to move forward the reform agenda with very concrete steps," she said. This work needs to continue, especially after the EU-Ukraine deep and comprehensive free trade agreement (DCFTA) entered into force on 1 January 2016. "[There is] a need for us to support the Ukrainian authorities in a better coordinated way between the EU and member states to make sure that the reform agenda continues, especially is implemented and that the benefits of this reform agenda manage to reach the Ukrainian people that were exactly two years ago in Maydan asking for reforms and changes of the society," she said.